This dinner service delight combines silent comedy and graceful slapstick to great effect. We begin with the odd plate flip or sculpted napkin until, with a flick of their bow-ties, our comedy waiters burst into a boy band routine and bring pure joy to your food festival, city street or ambassador’s ball. To a rousing soundtrack of all time classics, they evoke the genius of Morecambe and Wise and conjure adolescent admiration with a hilarious boyband homage. In the theatrical finale, rain cascades from umbrellas, with beautiful choreography performed to Singing Waiters in the Rain. Completely self contained, with a wheeled trolley ready to roll on any terrain, this act is versatile and utterly charming. 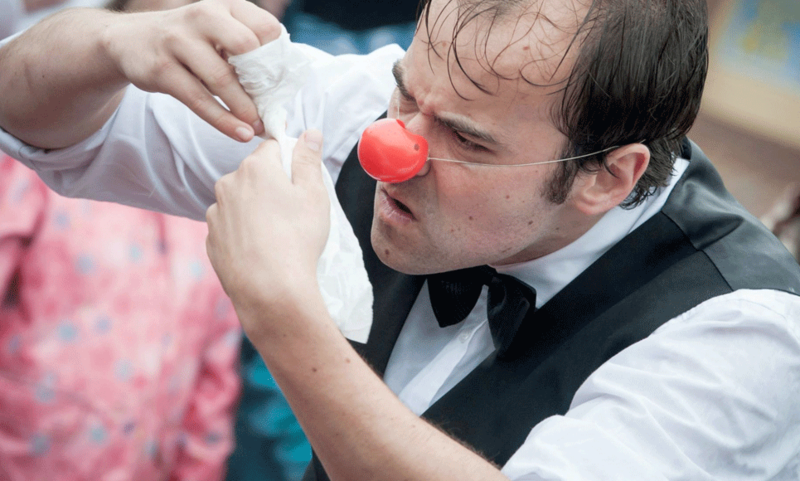 We have performed in venues from indoor parties to International street theatre festivals. 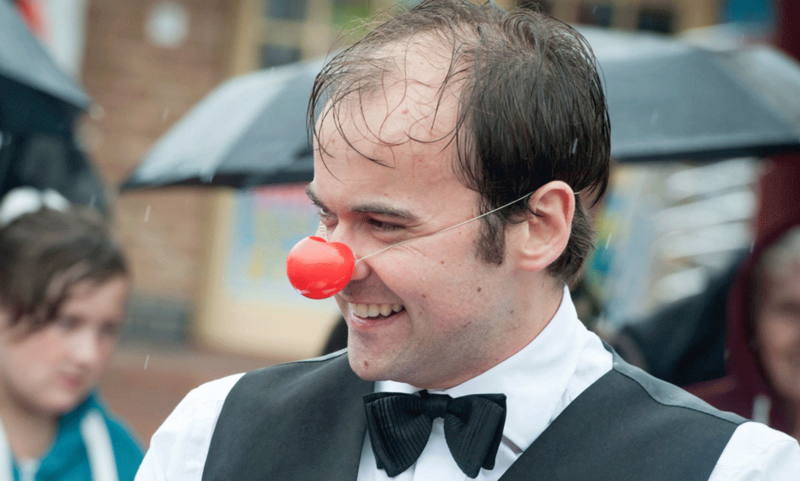 The Comedy Waiters can perform in conference centers, private dining rooms, streets, shops, restaurants, cafés, beaches, large stages & small theatres. The venue is only limited by your imagination. 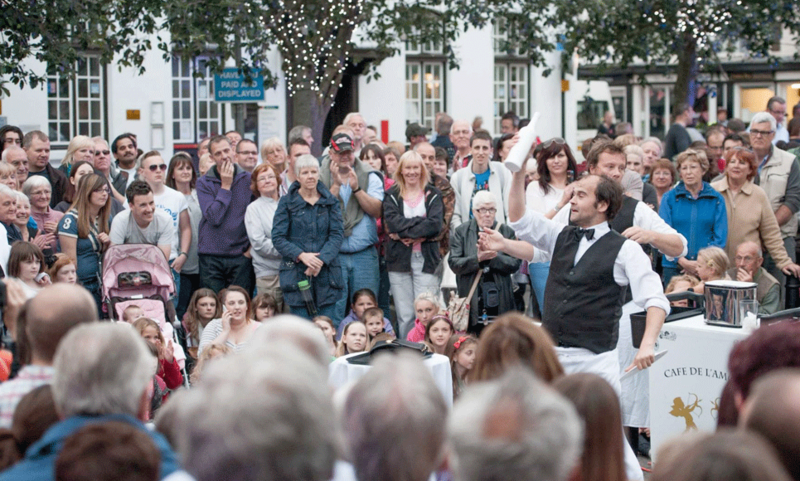 We can scale the show to perform to groups of individuals as a walkabout or for a fully formed audience of hundreds, either on stage or on terra firma. We have performed at dinners, receptions, birthdays, weddings, incentives, TV shows, company parties, product launches, seminars, award shows, Christmas events and council events. We have performed worldwide at International festivals, music festivals, town centre events, food festivals and everything in between. 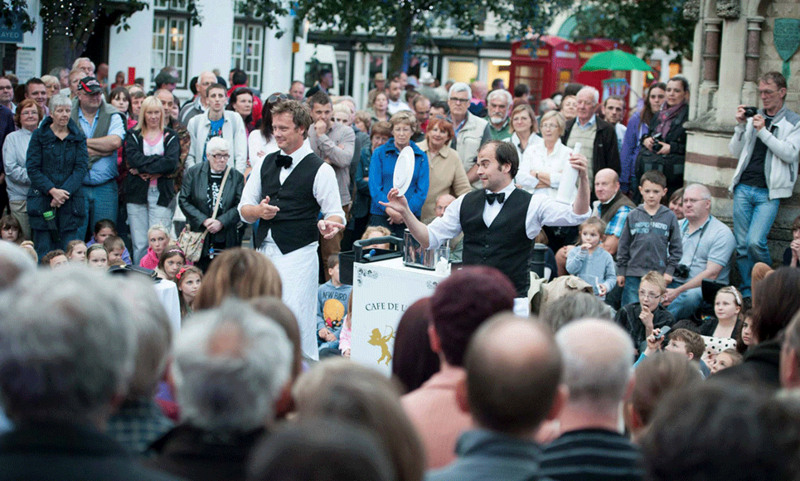 On stage, on terra firma, in front of large audiences or walking around, the Comedy Waiters is super adaptable.